Here is the eighth installment of TV Trivia For You from TV Banter. The first installment appeared on this blog on June 14, 2012. The second installment appeared on February 6, 2013, the third appeared on June 30, 2014, the fourth on November 14, 2014, the fifth on June 20, 2015, the sixth on March 1, 2016 and the seventh on January 23, 2017. DID YOU KNOW that Mary Tyler Moore added the "Tyler" to her name in honour of her father, George Tyler Moore? Mary related the story when she accepted the Screen Actors Guild's Life Achievement Award in 2012. In 1955, when she was 18 years old, she was determined to make her father proud with her accomplishments. So, set out to become a member of the Screen Actors Guild. There was a problem, though. There were six other Mary Moores on the SAG pages. Mary was informed that if she wanted to work in the business, she had to change her name, but she was reluctant to do so. "Change my name?" she told the audience at the SAG Awards. "I'm Mary. Mary Moore. Everybody is going to know my name. I can't change my name. Besides, what would my father think. It's his name too." Fortunately, she came up with a solution Instead of changing her last name, she would include her middle name, "Tyler," a name she shared with her father. " 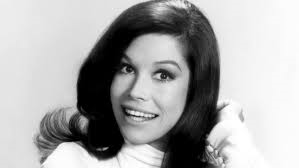 According to Mary, "Mary Tyler Moore" sounded right, looked right and made her father happy. DID YOU KNOW that Ryan O'Neal's given name is Charles Patrick Ryan O'Neal (some sources say Patrick Ryan O'Neal). Ryan's father, Charles Eldridge O'Neal (1904-1996), a film and TV screenwriter and novelist, was known as "Blackie." 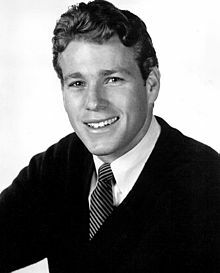 Ryan could not have used the name "Patrick O'Neal" because there was already a well known American actor by that name who was born in 1927 and died on September 9, 1994. DID YOU KNOW that Michael J. Fox's middle initial is not really "J." 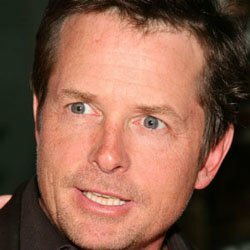 He was born "Michael Andrew Fox" on June 9, 1961 in Edmonton, Alberta, Canada. However, when he registered with the Screen Actors Guild, he discovered that there was already a veteran character actor by that name. According Michael's autobiography, Lucky Man: A Memoir, he didn't like the sound of "Micheal A. Fox" for two reasons. Fox is used to describe someone who is attractive and he didn't want to be called" Michael, a fox." Also the "A" sounded too much like the Canadian "eh." He wasn't keen on "Andrew" or "Andy." So, he finally settled on "J" as a tribute to actor Michael J. Pollard. By the way, the "J" in Michael J. Pollard, stands for "John"
Which actor appeared in the most American sitcoms? 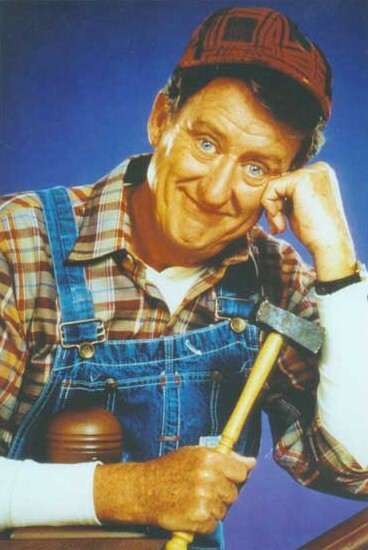 DID YOU KNOW that comedian Tom Poston appeared in more American sitcoms than any other actor, according to USA Today Life editor Dennis Moore? Born in Columbus Ohio in 1921, Tom was the perpetual second banana. 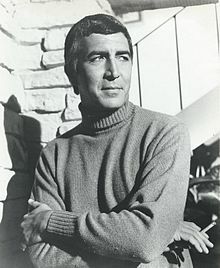 He appeared in at least 45 series during a career spanning 50 years but did have a leading role. His bugged-out eyes and the confused look on his face made an ideal fit for comedic secondary parts. Although his film career never really got off the ground, his work on television was expansive. At the beginning of his TV career, Tom appeared on Steve Allen's 1950s television variety series The Steve Allen Plymoth Show. On the Allen show, he played a Man on the Street interviewee who couldn't remember his own name. 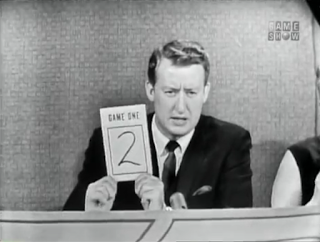 Tom went on to be a panelist on game shows and quiz shows, most notably To Tell the Truth. Tom had regular roles on such television series as Family Matters, Murphy Brown, Coach, Home Improvement, ER, Grace Under Fire, That '70s Show, and Will & Grace. From 1979 until 1981, he appeared in 54 episodes of Mork & Mindy as Mr. Bickley. Tom had a long association with Bob Newhart. Frrom 1975 to 1977, he played Cliff Murdock on The Bob Newhart Show. Tom is most often remembered for his role as dim-witted handyman George Utley on Bob Newhart's show, Newhart. 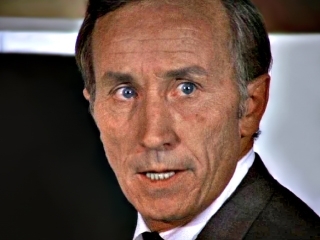 He portrayed Utley in all 184 episodes of the series, from 1982 until 1990. Tom Poston even wed the woman who portrayed Bob's wife, Emily, on the The Bob Newhart Show. From 2001 until his death, he was married to actress Suzanne Pleshette. 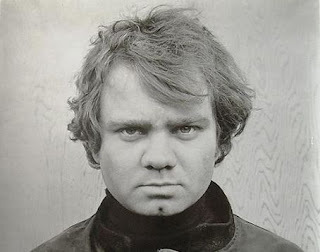 Tom died of respiratory failure on April 30, 2007. He was 85 years old at the time of his passing. Suzanne Pleshette died on January 19, 2008 after a battle with lung cancer. She was 12 days short of her 71st birthday. DID YOU KNOW that Ken Drake appeared in over 60 television shows, according to the Internet Movie Data Base (IMDb). The talented character actor had numerous television roles from the 1950s to the 1970s. He portrayed a vast array of characters, often playing multiple roles in the same TV series. In the 1950s, Ken appeared in Science Fiction Theatre, The Millionaire, The Silent Service, Harbor Command, Target, Highway Patrol, Mackenzie's Raiders, Border Patrol and others. During the 1960s and 1970s, he guest-starred in series such as Pete and Gladys, Sea Hunt, King of Daimonds, Outlaws, The Everglades, Wide Country, The Beverly Hillbillies, Death Valley Days, The Twilight Zone, Dr. Kildare, Flipper, The Man from U.NC.L.E., Ben Casey, Petticoat Junction, The Big Valley, The Rat Patrol, The Wild Wild West, Here's Lucy, Gunsmoke, Bonanza, Ironside and Mission Impossible. Ken was married to longtime Los Angeles Times theatre critic, Sylvie Drake. They had two children, a son named Robert and a daughter named Jessica. Ken Drake died of a heart attack on January 30, 1987 at the age of 65.